Rahul Pawar, a young and educated farmer running a nursery at Khutbav village on the Pune-Solapur highway, had been doing a brisk business selling saplings to farmers for years. He had about 40 women working at the nursery throughout the year. Now he employs 15-20 people intermittently as business is down with vegetable growers, captured between low prices of produce and rising input costs, struggling to keep going. Western Maharashtra — a big region for growing vegetables and sugarcane, and a prominent center for onion production and trade — is in the throes of farmer unrest, as prolonged low prices seem to have broken the community. The region, which covers districts such as Pune, Solapur, and Satara, is home to about one-third of the state’s population and is politically active with several leaders, including former chief ministers Sharad Pawar and Prithviraj Chavan, hailing from here. Farmers throughout the country are becoming growing restless, often joining protest marches to Delhi and agitations that have turned violent — a warning signal for the ruling BJP, as many leaders and experts, have cited farmer unrest as a key factor in the outcome of recent assembly elections in Rajasthan, Madhya Pradesh and Chhattisgarh where BJP governments were voted out. The mood in the region is gloomy as farmers have not got good prices for three years. 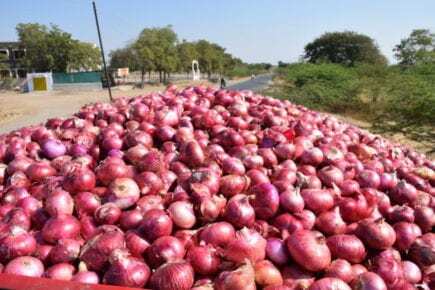 Tomato prices have ruled between Rs 1/kg and Rs 10/kg during past three years, barring a few months, at the Pimpalgaon APMC (Mandi) in Nashik district, while onions are going to wholesalers at Rs 3-5/kg. Potato prices in the Delhi wholesale market have hovered around Rs 5/kg for most months in the past three years, and garlic prices at the Indore APMC have been stagnant at around Rs 10/kg for one year now. Even pomegranate, the cash crop of the drought-prone areas, which used to fetch Rs 60-100/kg just a few years ago, is also selling at Rs 30-40/kg, cutting almost each of the options available with the farmers. Pasha Patel, a veteran farm leader and chairman of Maharashtra Commission of Agricultural Costs and Prices, said the rural economy has decreased over the past few decades. On the supply side, better seeds and technology has raised output. DynandevThorat, a farmer from Khutbav, used to produce 1,000 crates (of 20 kg each) of tomatoes per acre till about five years ago. His output has increased to 2,000 crates per acre now. “Change of seed variety, use of drip irrigation, mulching and fertigation have all been responsible for the increase in productivity,” he said. However, despite the jump in productivity, lower prices and higher input costs have hurt farmers like Thorat. Subdued commodity prices have led to even higher input costs for farmers, he said. “Farmers have to buy inputs on credit due to subdued commodity prices. As a result, the input suppliers, who normally give a discount of about 20%, have been charging farmers full MRP,” Belhekar explained. Similarly, while better roads have improved their access to markets, they have also increased competition. Farmers shift to short-duration vegetable crops whenever faced with water scarcity as they have lesser water need. Traders also blame demonetization for the farm crisis. “Earlier, vegetable traders used to deal in cash,” said a trader from Narayangaon, the hub of vegetable crops supplying to Mumbai. “Now, with restrictions on cash transactions, their investment in the trade has declined substantially,” said the trader who requested not to be named. Farmers said some steps taken by the state government to help farmers have backfired. For example, the government had prevented commission agents from charging a commission to farmers. As a result, the middlemen are now paying a lower price to farmers and charging their buyers a commission. “Before, we used to get calls from them enquiring about the availability of vegetables. Now, we have to call them up to send the product,” said Pawar of Khutbav. The state also permitted direct marketing of farmers’ produce at weekly markets in cities, bypassing the mandis. “However, the established traders have occupied this space, with farmers getting hardly any benefit of direct marketing,” said Belhekar. Few farmers, however, managed to largely avoid the crisis by turning to organic farming. Sharad Shyamrao Shinde from Modnimb village in Solapur district, for example, could sustain himself through the prolonged period of subdued prices as he could fetch better rate for residue-free produce. Despite the tough market environment, farmers have no choice but to stick to their current cropping pattern. They don’t see any alternative. 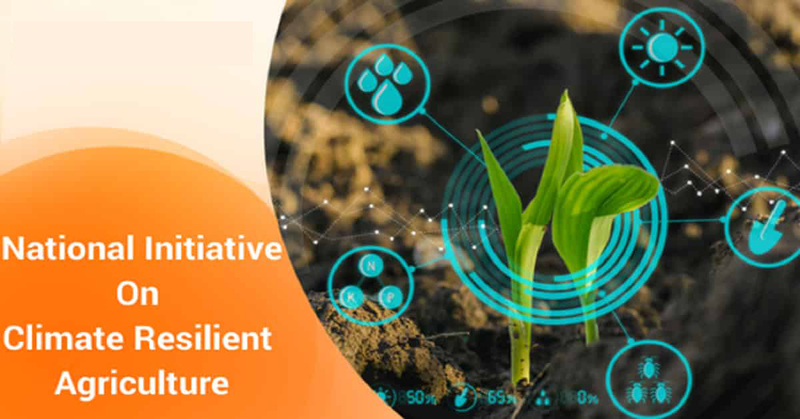 What is the National Initiative on Climate Resilient Agriculture?